Wind is the movement of air in response to pressure differences within the atmosphere. Pressure differences exert a force which cause air masses to move from a region of high pressure to one of low pressure. That movement is wind. Such pressure differences are caused primarily by differential heating effects of the sun on the surface of the earth. 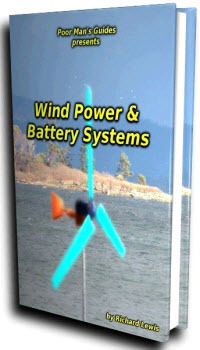 Thus wind energy can be considered to be a form of solar energy. Annually, over the earth's land masses, around 1.7 million TWh of energy is generated in the form of wind. Over the globe as a whole the figure is much higher. Even so, only a small fraction of the wind energy can be harnessed to generate useful energy. One of the main limiting factors in the exploitation of wind power onshore is competing land use. Taking this into account, a 1991 estimate1 put the realisable global wind power potential at 53,000 TWh/year. This figure is broken down by regions in Table 11.1. As the table shows, wind resources are widely dispersed and available in most parts of the world. Table 11.2 shows estimates for the wind energy resources in the countries of Western Europe. A glance at these estimates will show that in many cases the national wind resources are again enormous. These figures, too, may represent an underestimate. For example, the potential UK generating capacity has been estimated by the UK Energy Technology Support Unit (ETSU) to be 223,000 MW, nearly four times the figure quoted in Table 11.2 and equivalent to an annual production of 660,000 GWh. The ETSU study used relatively conservative criteria to arrive at its estimate but did not take into account utilisation restrictions. Constraints on building close to population centres or in areas of natural beauty would severely limit available sites. Even with such constraints, the potential would remain vast. Looking beyond Europe, a US wind potential survey was carried out in 1992.4 It concluded that even with exclusions for environmental and land-use reasons, around 6% of the land area of the USA could be used for wind power generation. This area was judged capable, with some advance in wind turbine technology, of providing a generating capacity of 500,000 MW. The report also concluded that 12 states in the middle of the USA had sufficient potential to generate nearly four times the electricity consumed in the USA 1990. In Asia, potential Chinese generating capacity has been put at 253,000 MW. Indian potential has been estimated at 20,000 MW but this is certainly a severe underestimate. Both countries are beginning to exploit their potential. 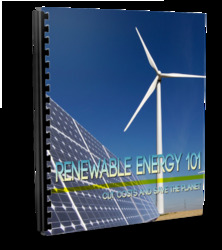 Wind power, though exploiting a renewable resource, is not considered beneficial by all. In the UK, and increasingly in Germany there are lobbies trying to prevent further development of onshore wind farms. This is proving a considerable handicap to wind development in the UK, at least. Under these conditions, offshore wind farming becomes increasingly attractive. It is more expensive to build a wind farm offshore but this can be offset by higher average wind speeds. The global offshore resource has been estimated to be around 37,000 TWh.5 Offshore sites are available in many parts of the world but the most promising for immediate development are around the coasts of northern and western Europe and of the eastern seaboard of the USA. At the beginning of 2004 the global wind generating capacity was 40,000 MW.6 It is expected to reach 150,000 by 2012. Offshore capacity at the end of 2003 was just over 500 MW.